Here is a beautiful extension of love, gifted to us today by our very dear friends, Seth and Lacey. 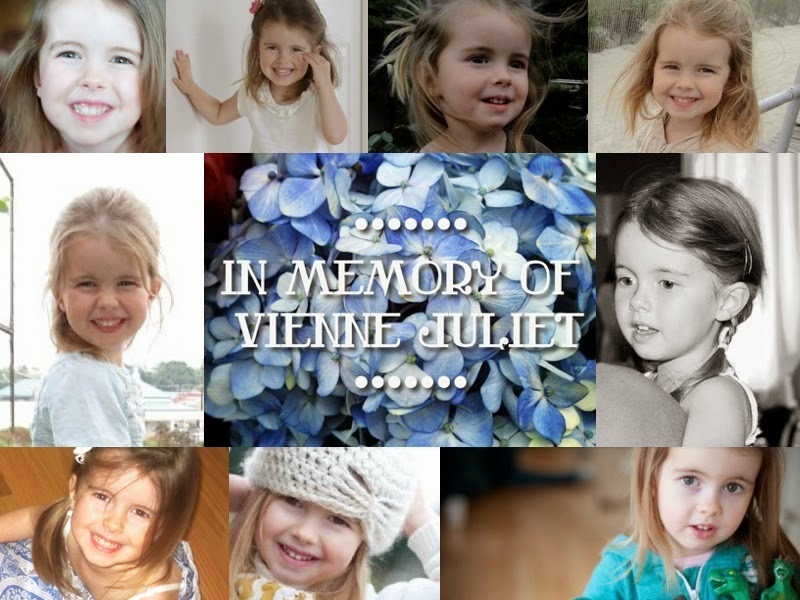 They potted us a Memorial Garden for Vienne, all in her favorite colors of blue and green. 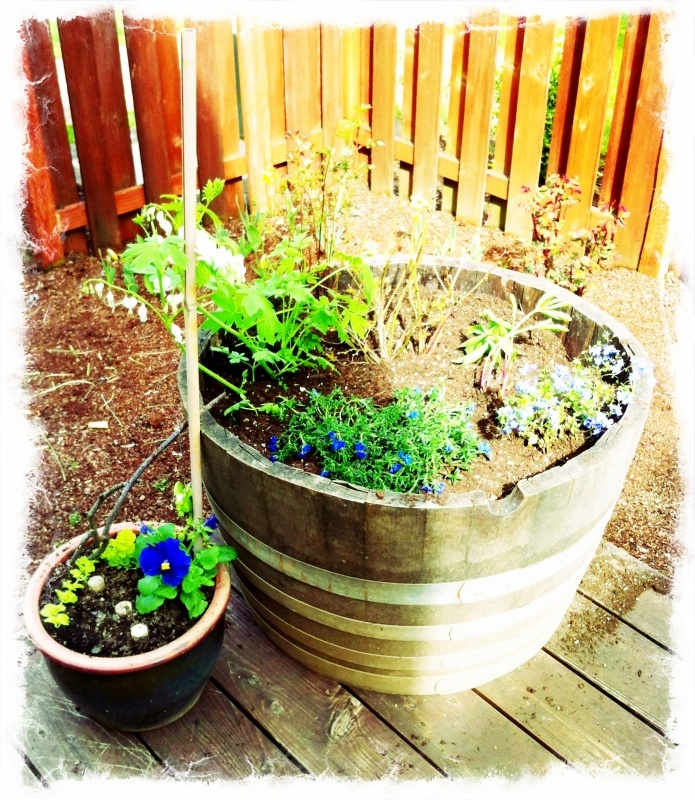 The half-whiskey barrel has a blueberry bush, a fern, and a bleeding heart, along with a few other blue flowered plants I forgot to ask about. 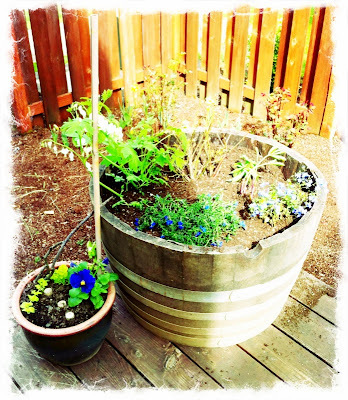 The small pot, next to the barrel, was Vienne's garden that Lacey once gifted to Vienne on her 3rd birthday (click the link to see a post written about that garden). 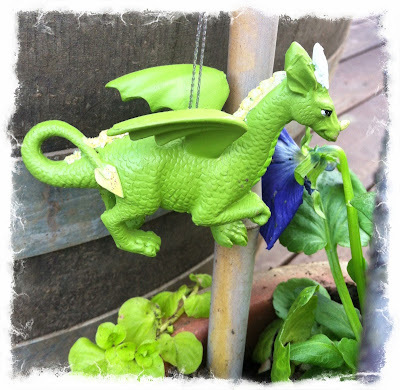 Vienne had lovingly tended to that little garden pot over the past two summers. Lacey had plans to repot it with Vienne, each summer. From that very tiny pot, Vienne learned to love snap peas! Today, Lacey potted a few new flowers in that special pot and watered them with her tears. From a little branch, stuck in the soil, hangs this darling sparkly dragon - to glimmer in the sunlight. What a beautiful treasure to receive on such a day as Good Friday. We have such good support around us. We love you, Seth, Lacey, Caleb, & Malachi. Oh I love this post so so so much. Lacey is a true gem. So glad you have her love to help you get through the rough days. Love you, friend. We love you guys. So so much.